I’ve been asked a lot to make a video using Beautycounter products and I’m just so sorry it has taken me this long to get it uploaded! With moving, the holidays, and having those couple of sick weeks where I literally wore no makeup, the time has just gotten away from me. Most all of the products I use on a daily basis are Beautycounter and I am showing them in this video exactly the same way I use them day to day. It’s definitely a look that you can make darker with more eyeshadow or with a bold lip. The video itself is a little long and seems to include a lot of steps, but I promise it all goes by so quickly when I’m not chit chatting the whole time! Also wanted to mention that Beautycounter is including two free Tint Skin sample sets (one in light shades, one in dark shades) with every order right now through January 31st! Oh, and if you missed my post on why I switched to nontoxic beauty products, you can do that here. I also uploaded a video explaining the complete skincare and beauty collection here. Now for the video—click below to watch! Urban Decay Perversion Mascara *not non-toxic! P.S. – What are your thoughts on the brand Origins? I use their concealer and foundation, and LOVE them. But I haven't been able to find much info on their ingredients. Would you consider it a non-toxic brand? Origins is typically pretty good! They promise to not put parabens, phthalates, and sulfates in their products. You can always check out specific products or individual ingredients at ewg.org/skindeep to learn the exact scientific explanation of how safe the ingredients are! Sometimes when I can't find a product in the database, I type in each individual ingredient into the database and figure out if the product is safe that way. It takes forever, but worth it to know! I totally agree, it is worth it to know. 🙂 Thanks so much for the helpful information!!! Loved this video! I'm a Beautycounter consultant as well and enjoy seeing your how to's on using the amazing make up products and hearing your reviews. Thanks! Oh no! I know there is supposed to be a pretty big restock around the end of Jan/first week of Feb, so keep checking back! 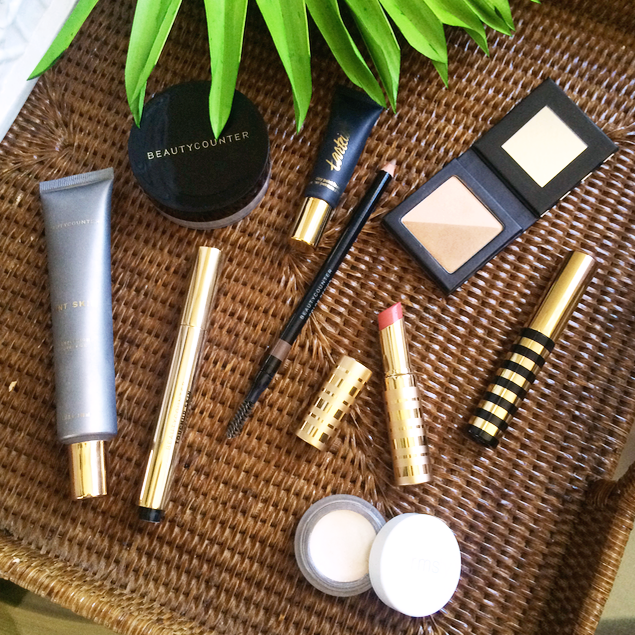 And you just purchase straight through my personal website, beautycounter.com/meganstokes. 🙂 I don't keep a stock of products like MaryKay, etc., so everything comes straight from the company in California! Thanks love! Loved the video! I am interested in Beautycounter products but am not sure where to start! Can you recommend one or two of your favorite products or most highly recommended products to get started with the line? Would love to hear your opinion! Thanks in advance! Thanks for this! Can't wait to try some of these babies!! I have been doing a lot of research lately on switching to 'safe' products and found the app 'think dirty.' I'm not sure if you have heard of it but it allows you to scan products and it gives you a list of ingredients and rates it on a 1-10 scale of how 'safe' the product is and also gives you alternatives to the product if it isn't. It's definitely interesting!